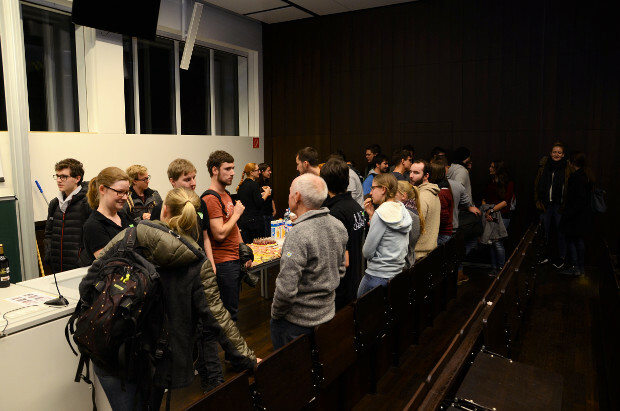 On Tuesday 22.11.2016 the talk "Chemistry in the medical research" was held at the Center of Chemistry and Biochemmedicine in Innsbruck. 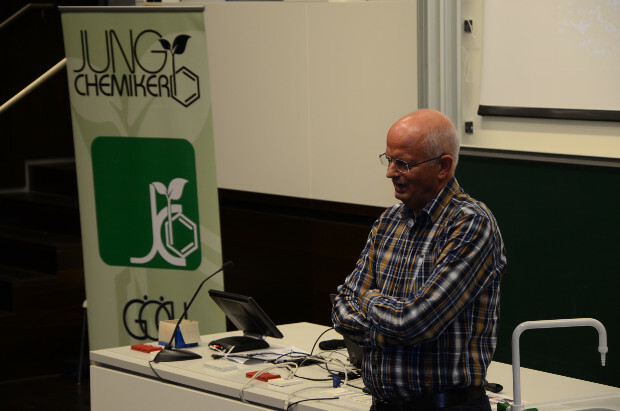 Professor Dietmar Fuchs from the division of Biological Chemistry, Medical University of Innsbruck gave some insight into his fascinating research. Professor Fuchs studied chemistry at the University of Innsbruck and finished his PhD in 1980. After working as an Assistant Professor at the Institute for Medical Chemistry and Biochemistry in Innsbruck he habilitated in 1986. Focus of his research lay on neopterin, a substance build during the cellular immune reaction. Based on his achievements, developement of one of the first HIV-tests was possible. The speech took us from the pigment of a butterfly, the pteridin, via the early years of neopterin research to the correlations of neopterin concentration and tryptophan degradation in the medical diagnosis. Afterwards a buffet offered an opportunity for a private conversation.